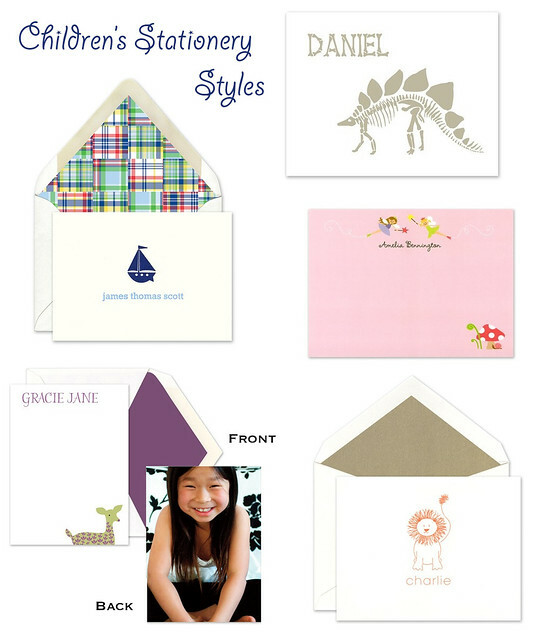 Get your children excited to write thank you notes by providing them with personalized cards they'll love. We adore the idea of having a note on one side a photo of your child on the other like these cards from William Arthur. Find these and other stationery styles for every little (or big) personality at FineStationery.com!